I'am a Middletown NY based Pro Makeup Artist and Photographer. I master in makeup artistry to clients and models in the Orange County and other surrounding areas. My style is timeless and glamorous and brings out the best version of YOU! Growing up I was very artistic but was not sure where I was headed with my talent. As I was going through adolescents, I had an obsession with Fashion and Editorial Ads which started my fascination with Photography and the Beauty Industry. Fast Forward to today, I'm a Middletown Beauty School graduate and a NY state licensed Esthetician. I'm happy that I finally started my business "Shauna Jones For Flawless Reflections" and starting a legacy for my children. 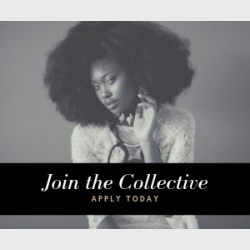 I want to thank Muna Luchi for giving me an opportunity on becoming a member of the Coterie, and I want to thank YOU for taking the time to browse through my profile and website.